The government, through the Ministry of Labour, Youth, Sports and Manpower Development is failing to properly manage Bingu National Stadium (BNS) with the match facility continuously running without water and electricity. 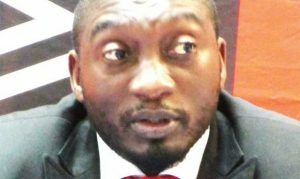 Malawi News can reveal that the modern stadium owes Lilongwe Water Board (LWB) and Electricity Supply Corporation of Malawi (Escom) over K146 million in unpaid bills. 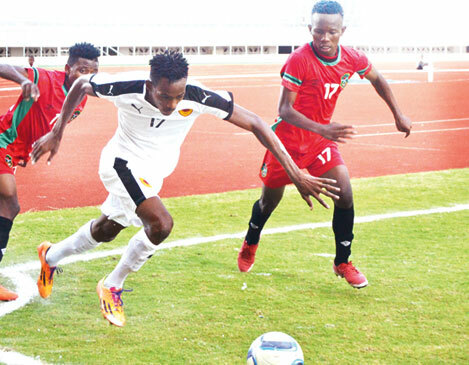 This is bad news for the country as BNS is expected to host a dead rubber 2019 Africa Cup of Nations qualifier between Malawi and Morocco on Friday next week. Lack of water at the Chinese-built facility has made conditions unsuitable as the pitch cannot be watered. According to our findings, the stadium owes LWB an estimated K120 million with its Escom debt amounting to about K26 million. BNS spokesperson Ireen Mkoko confirmed that the facility has accumulated water and electricity bills. “It is true that we do not have water and electricity at the moment but authorities are handling the issue,” Mkoko said. BNS gets K6 million every month from the government but with its average water bills pegged at K5 million per month, the amount falls short of meeting the facility’s needs. Director of Sports in the Ministry, Jameson Ndalama, said the accumulated bills are a result of wastage. “I know that we have outstanding bills at the stadium but they are on the higher side because of wastage. We often have cases of broken underground water pipes, so it becomes difficult to manage water. On electricity, there are also cases when people host events under flood lights, so it is a challenge,” Ndalama said. Meanwhile, Football Association of Malawi has confirmed that the facility will host the match between Malawi and Morocco next week. The association’s General Secretary, Alfred Gunda, said they have already written management of the stadium on the hosting of the match. Sports analyst George Kaudza Masina said outsourcing is the only way to address challenges in the country’s stadiums. “The stadiums generate a lot of revenue which they can use to sustain their operations but the money goes to Treasury where the government’s priorities redirect it elsewhere. Let government privatise the stadiums so that they run as commercial entities,” Kaudza Masina said. Since the stadium was opened in 2017, management has struggled to run it with persistent water and electricity disconnections being the order of the day. The stadium was constructed through a concession loan amounting to K29 billion from the Chinese government which will be repaid in 20 years. Tom Sangala – who has written 3259 posts on The Times Group.